The day of the Fair was anticipated for months and worked towards all year. 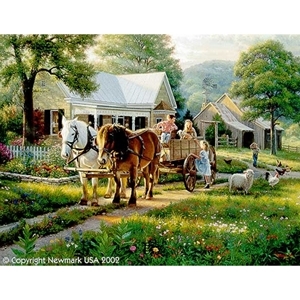 Life in the country or on the farm made folks more unique and independent. The challenge of survival encouraged stronger family units, and gave one a sense of being "in place." Each individual depended on the other to do their part and be who they should be. One gained a great sense of accomplishment by working the land, but also a powerful thirst for seeing other folks whenever there was a reason.